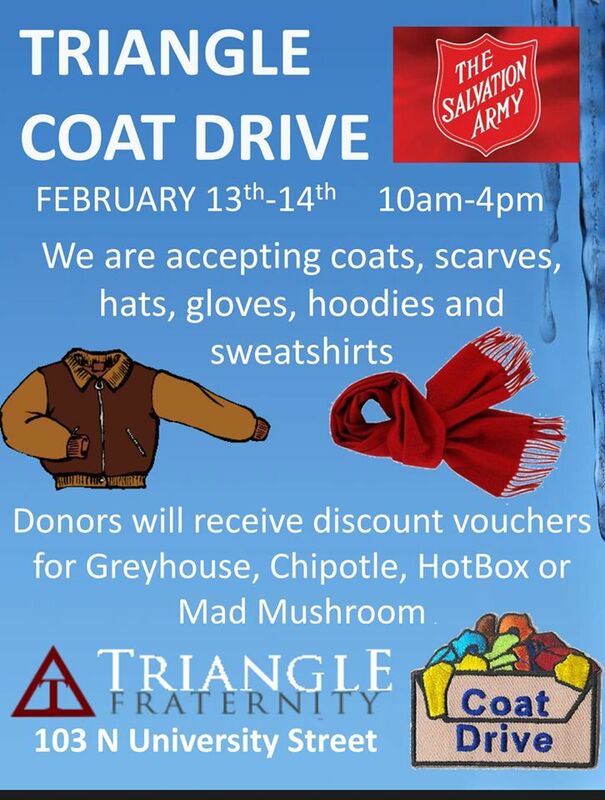 On Saturday, February 13th and Sunday, February 14th, Triangle Fraternity held a philanthropic coat drive. 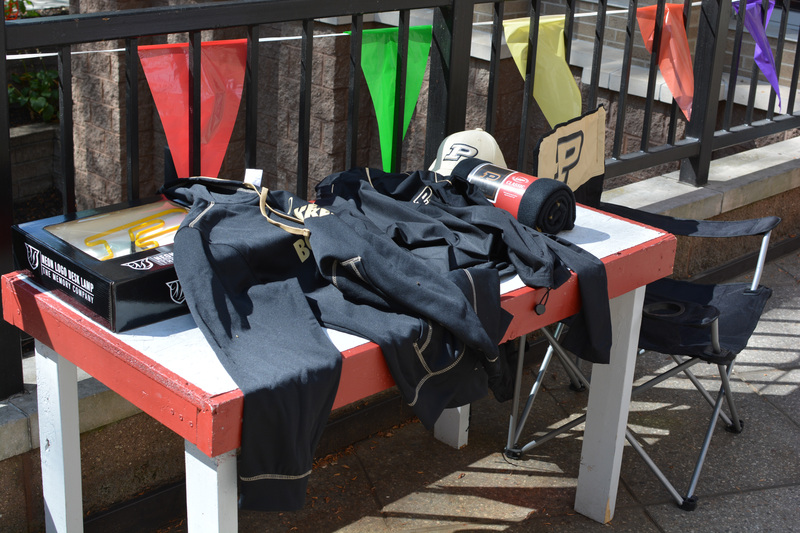 The brotherhood and the surrounding community donated four full boxes of coats, sweatshirts, hats, gloves, and scarves to the Lafayette Salvation Army. 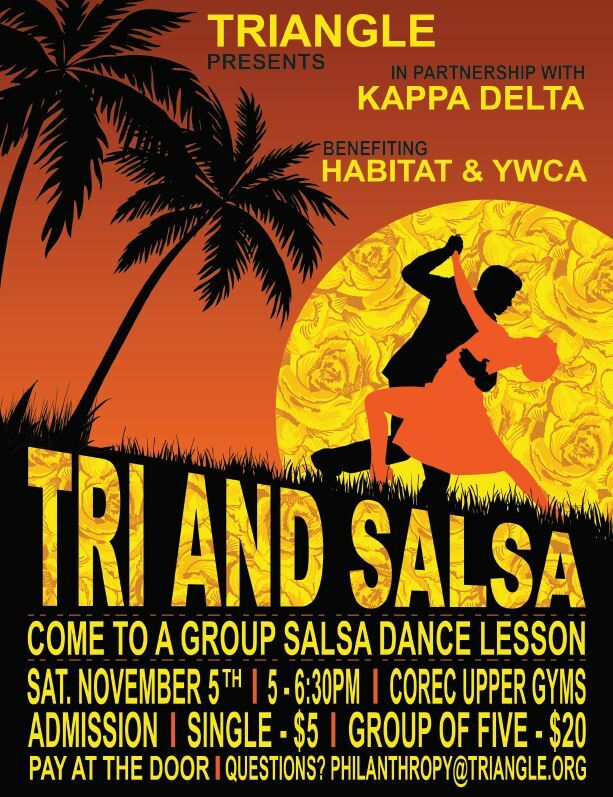 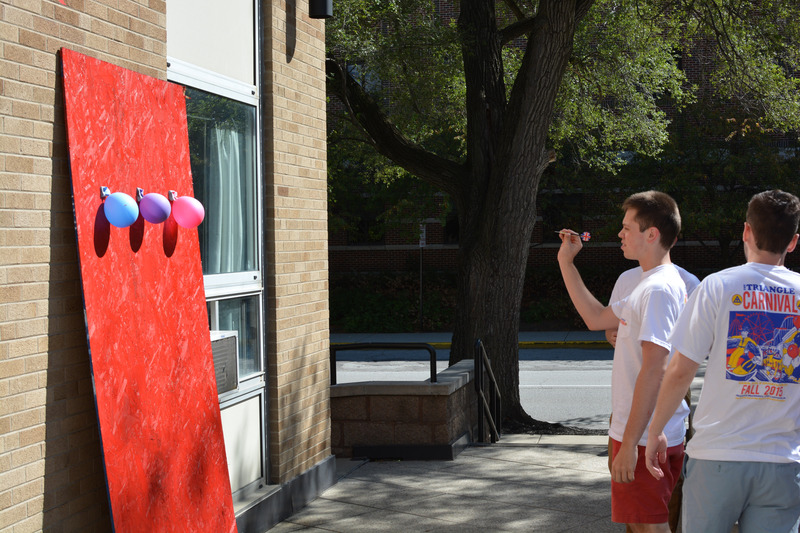 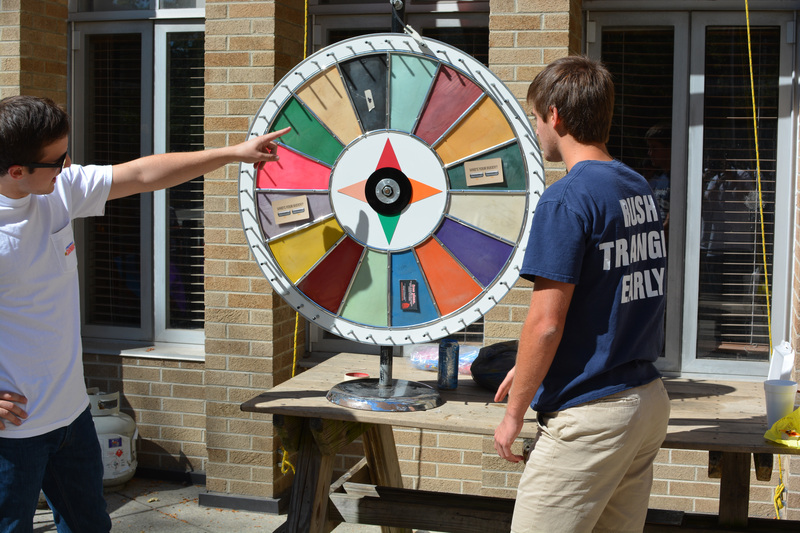 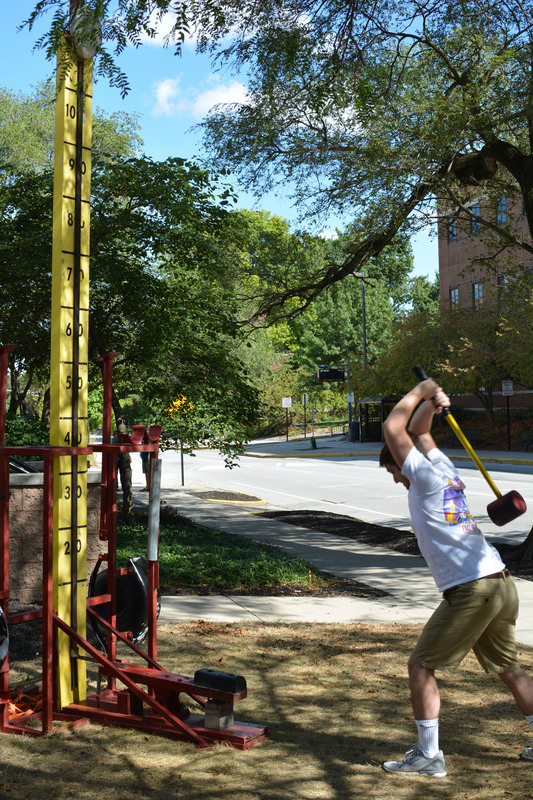 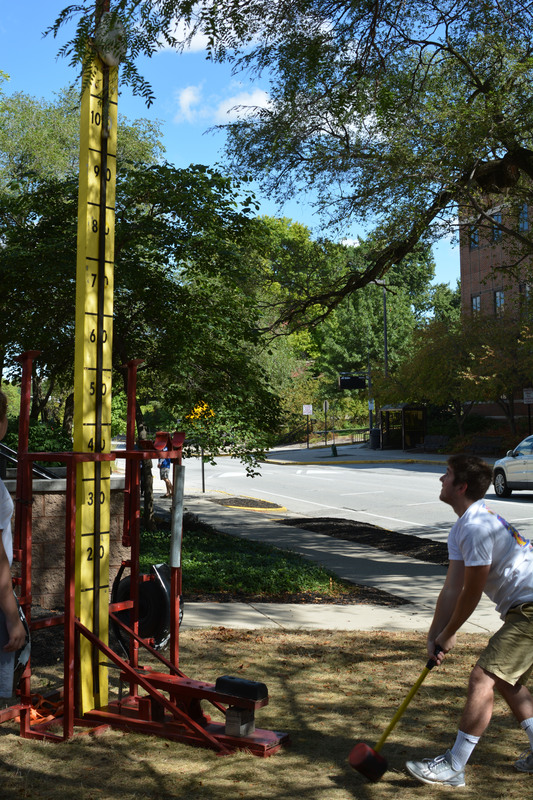 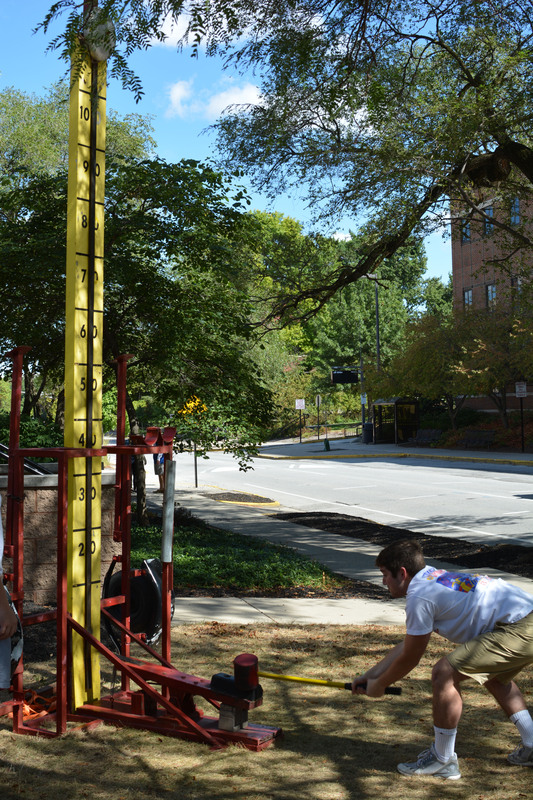 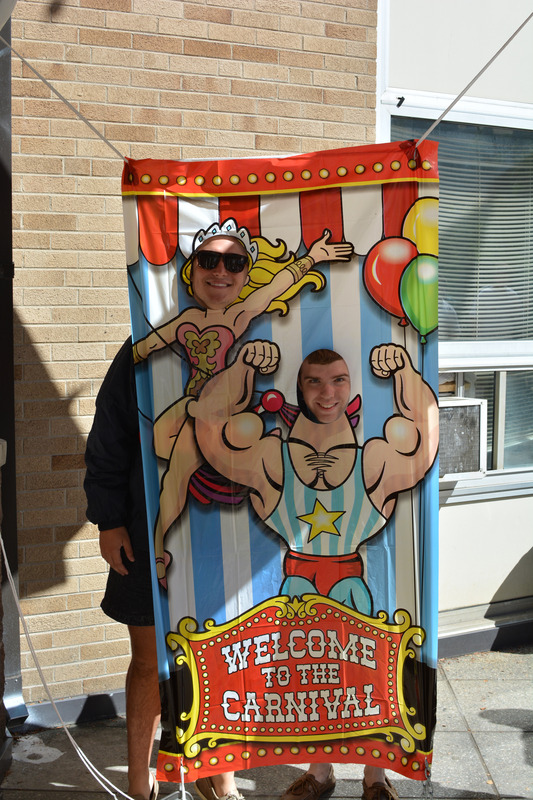 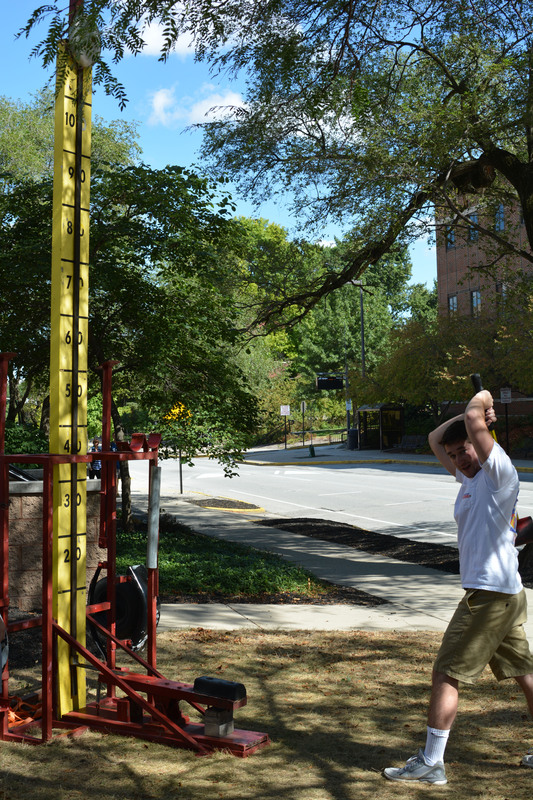 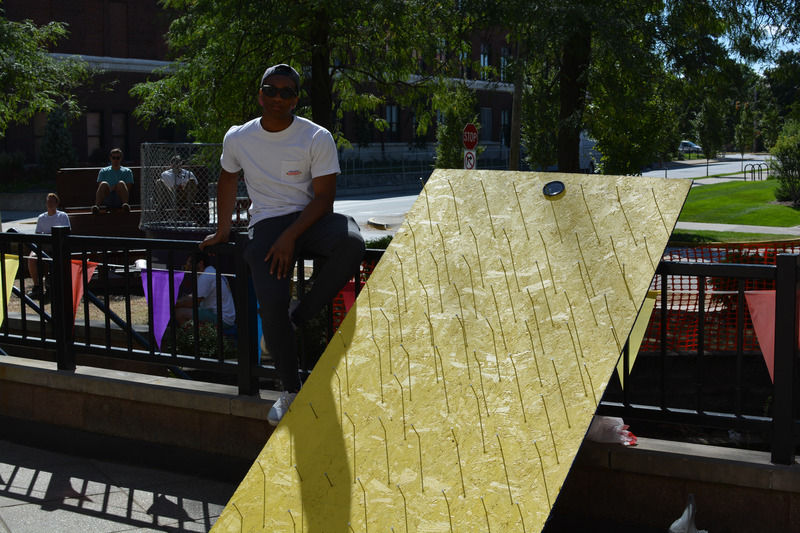 For our fall philanthropy, we hosted the first ever Triangle Carnival on September 13. 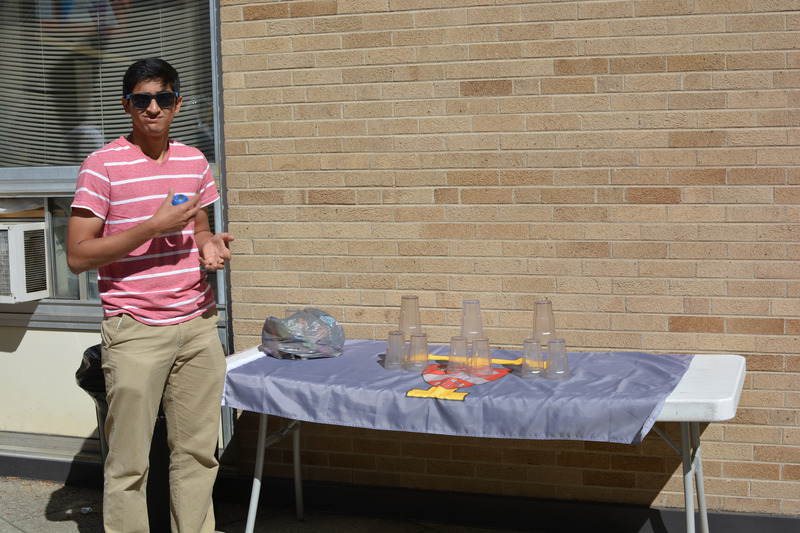 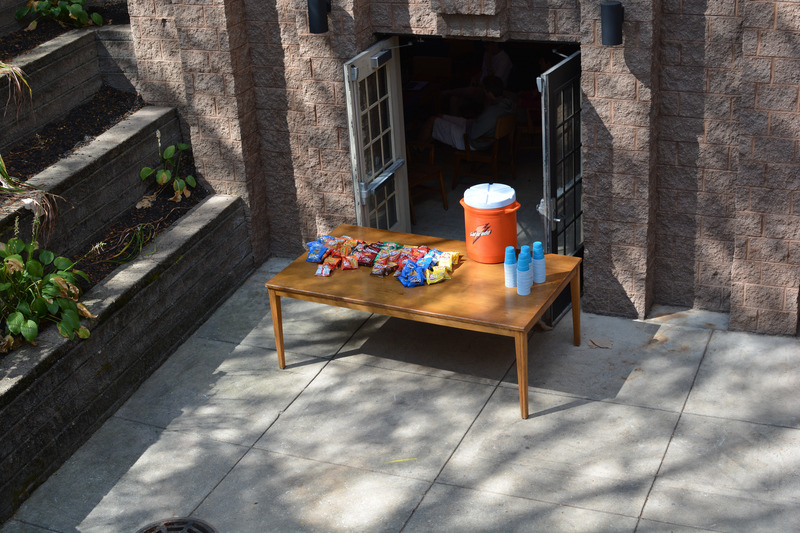 The event, which took place on our front porch and lawn, consisted of carnival games and a raffle. 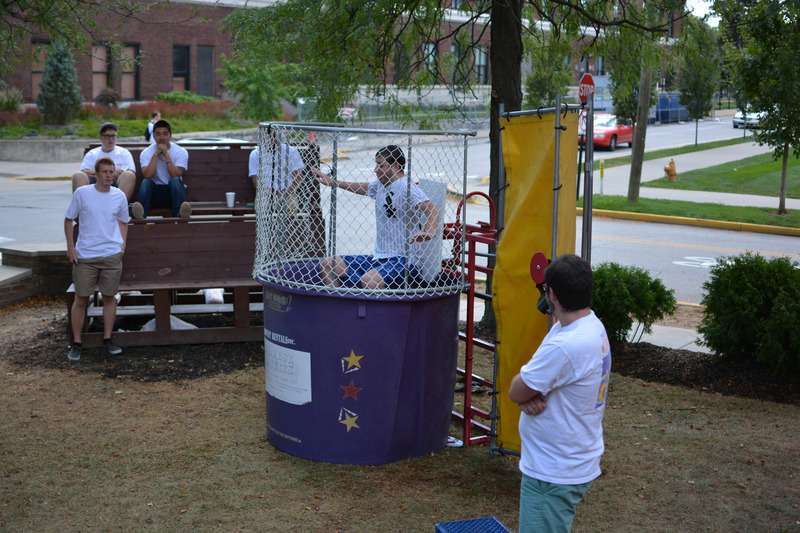 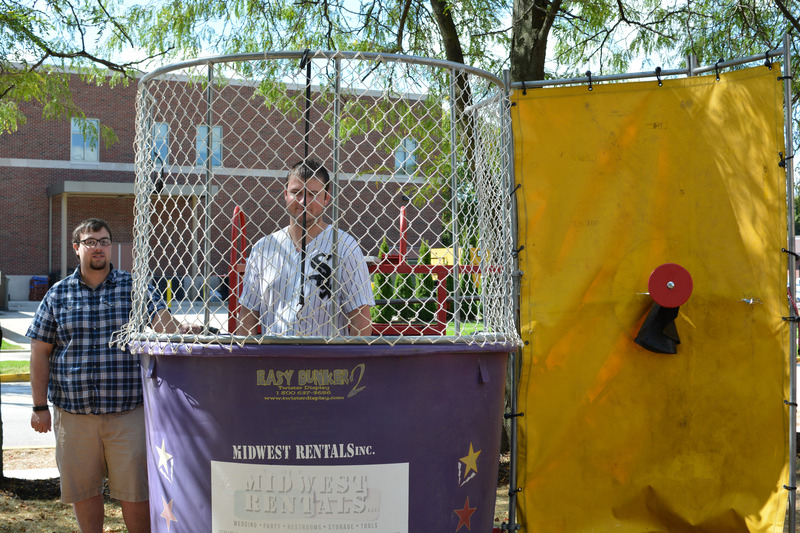 The most popular attraction of the day ended up being the dunk tank. We held the event to benefit the Purdue chapter of College Mentors For Kids and ended up raising $448 for their organization! 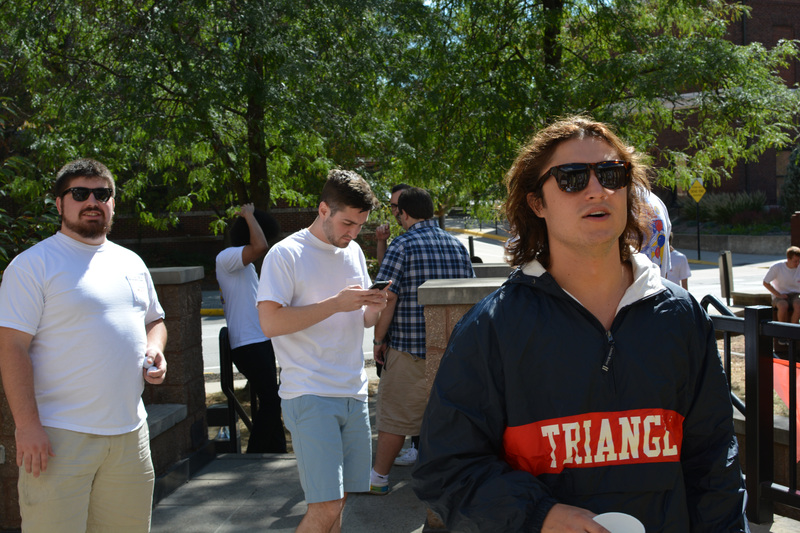 We’re very excited to have started this event strong and are looking forward to next year and really establishing it as an annual fall philanthropy for our chapter.